The very nice people at OXO UK, sent me their new Cookie Press to try out, before it even hits the shops in the UK! It looked so much fun and I couldn’t wait to give it a whirl. 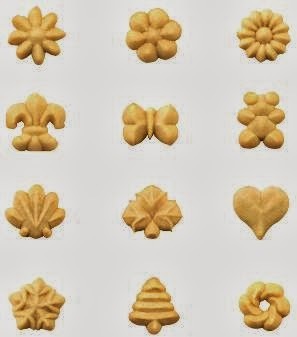 What is a cookie press you might be asking? Well, it is a tool, which allows you to press out cookies in a patterned shape. 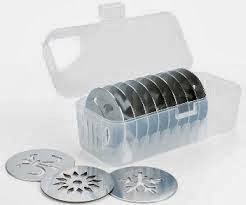 The OXO Cookie Press comes with 12 metal discs, which can be popped in, and each one gives a different shaped cookie, such as flowers, a heart, a Christmas tree and even a wee teddy bear! The metal discs come in their own handy dandy case too. Of course, Cakeyboi wanted to try something a bit different. I made my cookie dough and could have left things there and pressed away. But I decided to divide my cookie dough and colour it, rolled it together again and voila! I have rainbow cookie dough. I popped the dough into the press and to be honest it took me a while to get the hang of. But I realised that my dough was too stiff. I used a Martha Stewart recipe which I halved – so probably went a bit wrong there. Then I noticed that the instruction booklet supplied with the Press actually has three different cookie recipes at the back of it. I should have stuck to those! But I persevered with my garish dough and got the knack. I was pumping out the cookies good style after a few minutes. I decided to go with hearts and wreaths for my cookies – sort of like hearts and hugs. I popped the dainty little dough shapes into the oven and they took no time at all to bake. I was very impressed with the results (and relieved that washing up was easy too). They tasted and of course looked great! Personally, I think that is what Cookie Presses are all about – the visual. And of course it is really fun to use. Kids especially would love to give it a whirl. 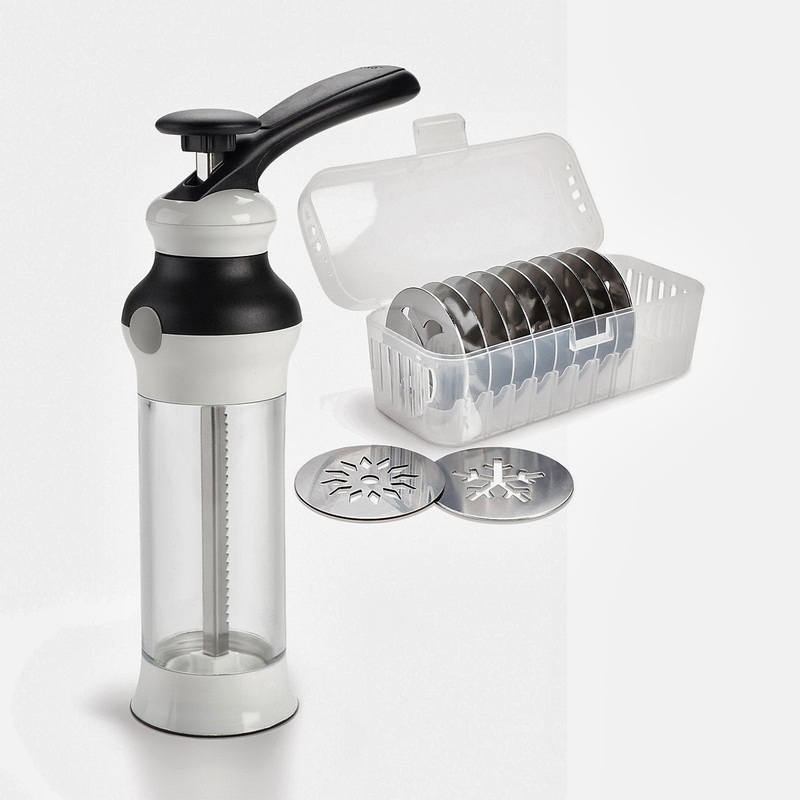 The OXO Cookie Press will be available to buy in the UK in the New Year – keep an eye out for it! 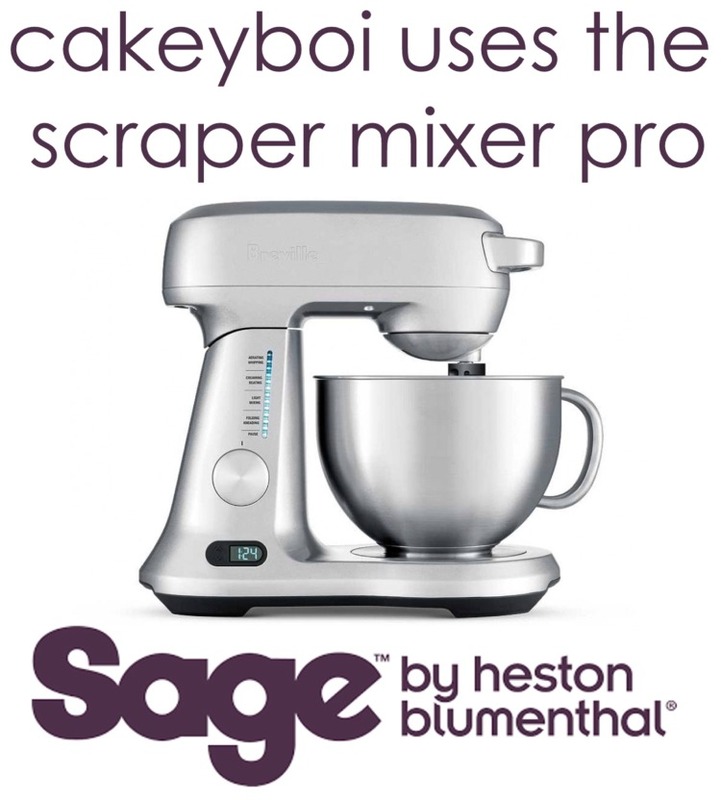 And thanks to OXO for letting me have an early sneak peak. Disclosure Statement: I was not paid to write this post. I received the cookie press free to review. Any views expressed are my own. I have one of these cookie press thingies, bought it years ago, must be 15 years at least, got it from Lakeland. It worked a treat but I can't remember the last time it was used. I imagine its languishing in the back of the cupboards in the garage, must find it, dust it off and make some rainbow cookies like yours. They look fab, my taste testers at work would love them. Thanks for the inspiration. I had a rainbow infused blast! !